Is there a better alternative to Hall? 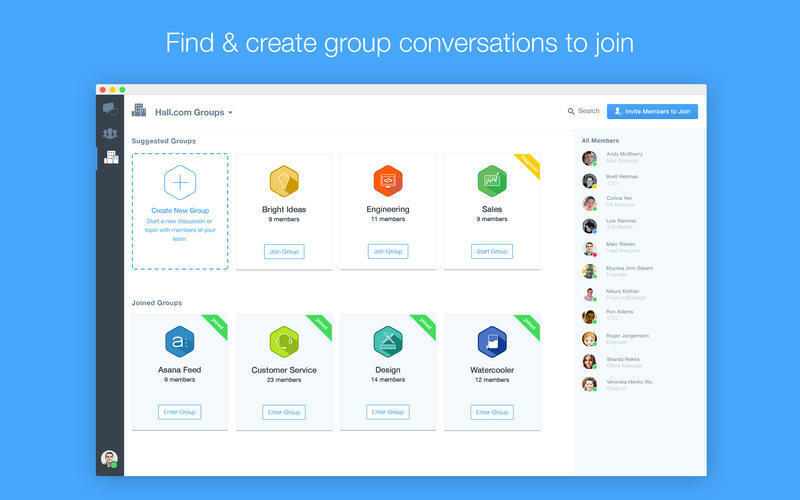 Is Hall really the best app in Project Management category? Will Hall work good on macOS 10.13.4? Hall is free for individual users. Pricing options for enterprises can be found here. 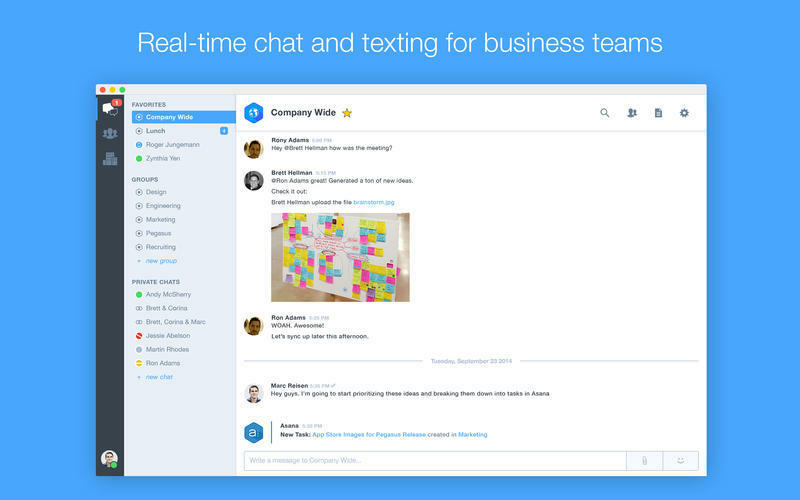 Hall helps teams and companies communicate in real-time. Our all-in-one unified communications app has everything your company needs to communicate and get things done. There are thousands of companies using Hall, from small businesses to the world's largest enterprises like Amazon and Nike. Professionals love using Hall to communicate. Hall needs a review. Be the first to review this app and get the discussion started! Hall needs a rating. Be the first to rate this app and get the discussion started!